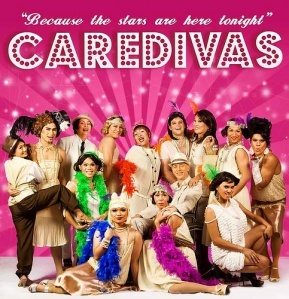 Boy Wander: Divas Extraordinaire: CARE DIVAS! Plays that make me laugh, sigh and teary eyed in one sitting deserves to be watched a second time. 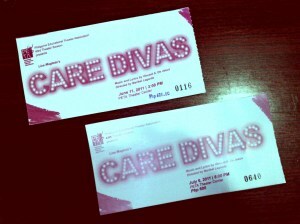 In fact, Care Divas deserves to be watched over and over and over again! 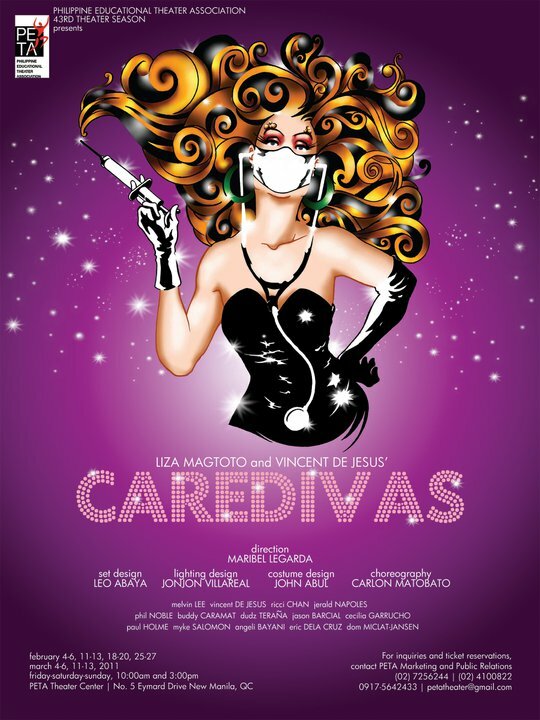 Liza Magtoto's and Vincent de Jesus' Care Divas is a musical comedy-drama about five gay OFWs in Israel who are caregivers during the day and drag queens at night. The play is funny--as in, really funny. Its punchlines and retorts are totally unexpected. But Care Divas isn't shallow at all. It tackles real and relevant issues: making ends meet, being accepted, and the fear of deportation and war. 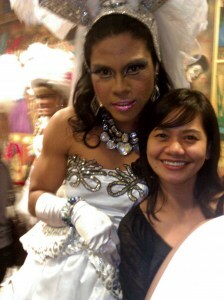 Whether straight, gay or closeted, I'm sure you will enjoy the show--or at least will find it funny. I'm just not sure how my mom and her friends would find it though. Hopefully they'll like it. I wish that the show was advertised more so that more people will get to watch. Don't forget to bring your camera! You can't take pictures during the play but you can definitely get your picture taken with the cast after the show! The cast being swarmed after the show! This is my favorite song from the show written and composed by Vincent de Jesus. Photos from the show are also here...so watch! Harang. Ikaw bang naglagay ng harang? Tingin mo sa sarili mo ay parang ikaw lang ang dapat mabudburan ng ligaya. Sino ka ba?! I don't just like the show. I love it! Tickets are Php 600 for Regular Seats and Php 800 for VIP. 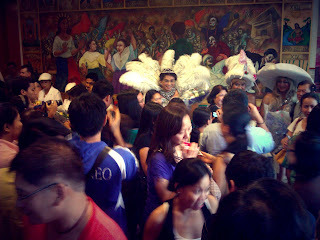 There will be shows in PETA Theater every Saturday and Sunday in July. For reservations, please contact Michee Fabunan (0917-5642433) or call PETA (725-6244). Sa PETA Theater! :) Likod ng QC Sports Club.